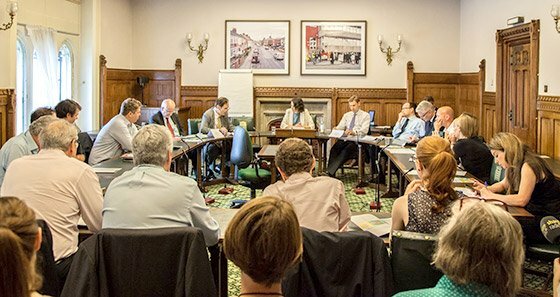 On Wednesday 8th June 2016, in a debate hosted by Scottish Friendly at the Houses of Parliament, four impassioned Parliamentarians locked horns for 60 minutes over the question of whether a vote to leave on June 23rd would have a positive or negative effect on savings. Conservative MP Chris Philp, a member of the Treasury Select Committee, lined up with Labour-Co-op MP Gareth Thomas, who is also chair of the Co-op Party, to make the case for Remain. Convinced that Brexit is the correct course Conservative Peer Lord (Howard) Flight and Labour MP Kelvyn Hopkins made their case. By way of background to the debate, Scottish Friendly’s Marketing Director Neil Lovatt introduces Scottish Friendly, its ethos as well as our latest Disposable Income Index and its accompanying new interactive analysis tool. The debate is chaired by Julia Rampen, the award-winning Deputy Editor of Mirror Money and a panoply of leading business and personal finance journalists are in the audience. The debate lasts an hour but of course you can forward and rewind.